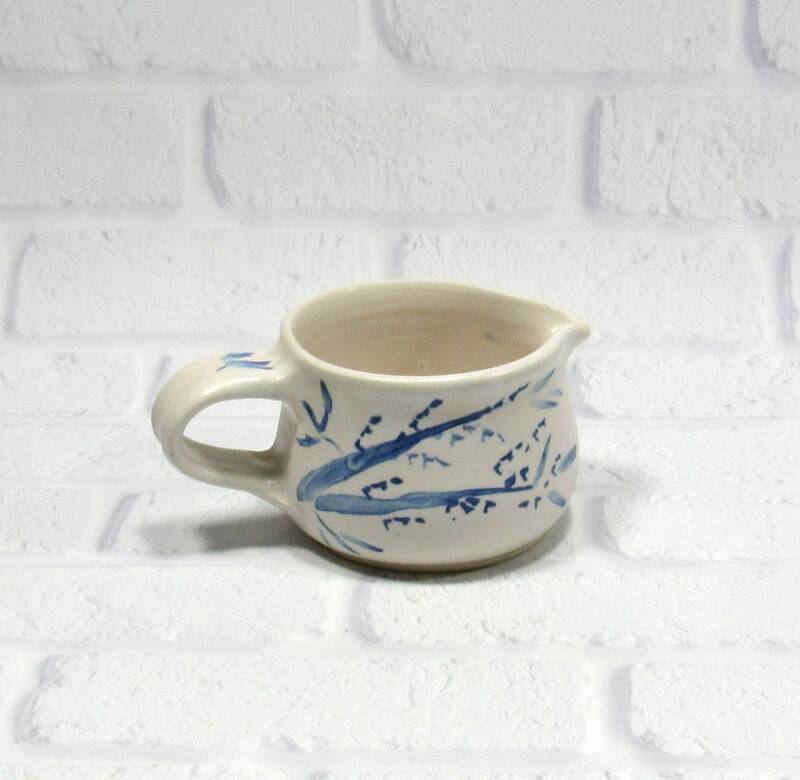 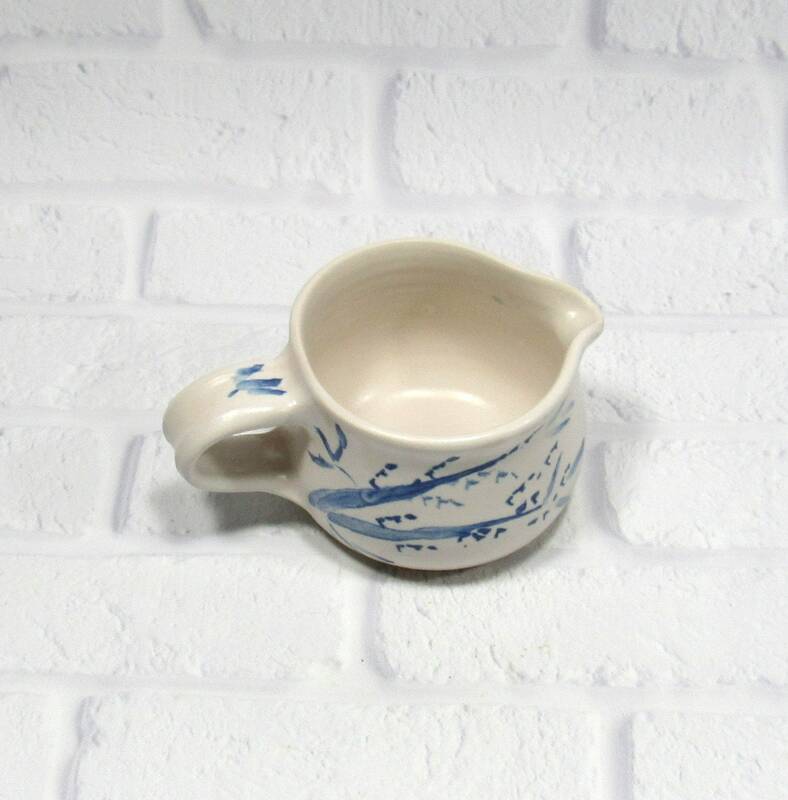 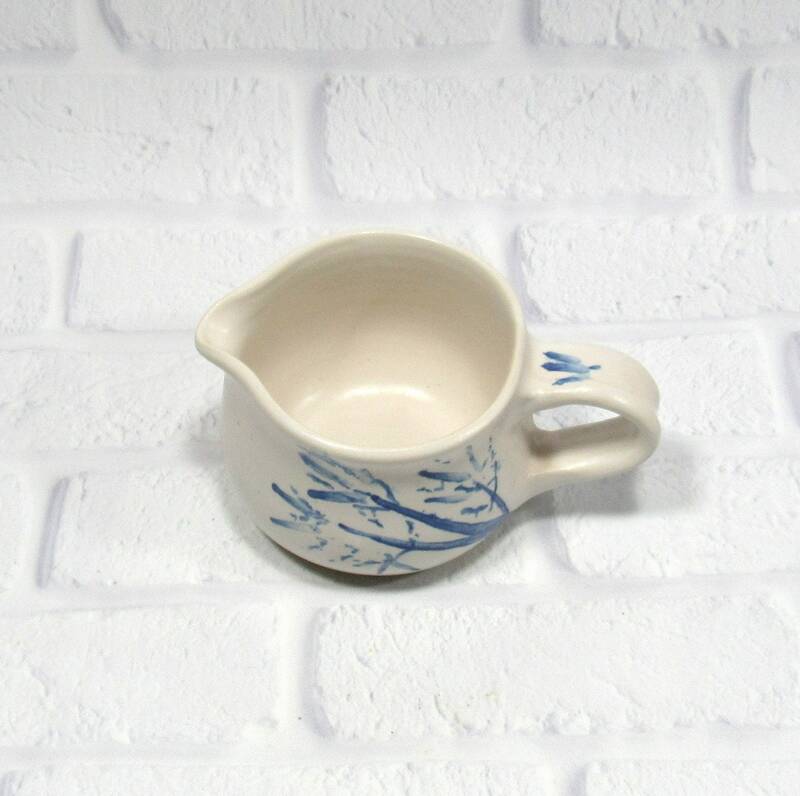 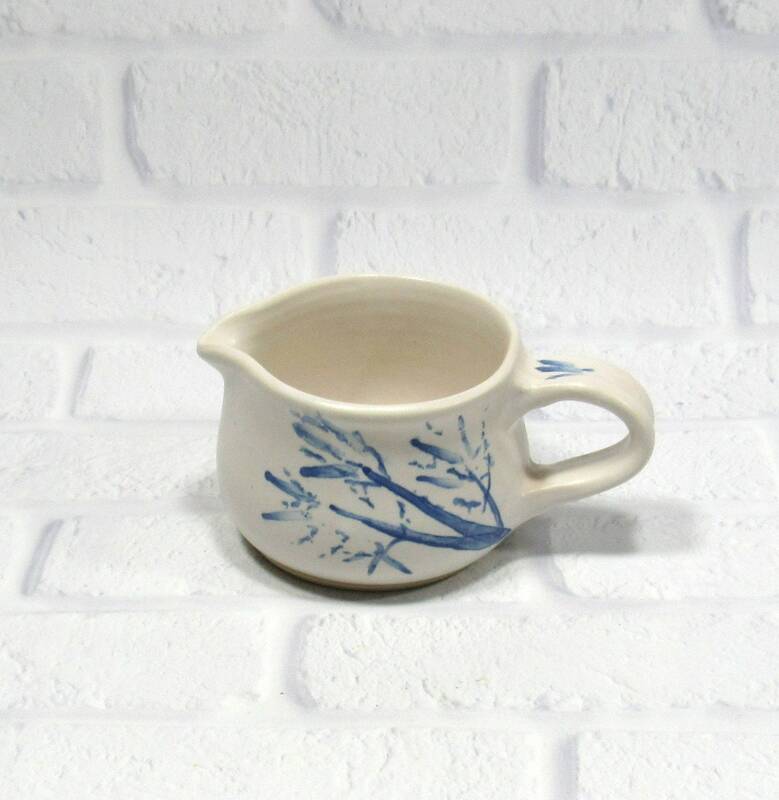 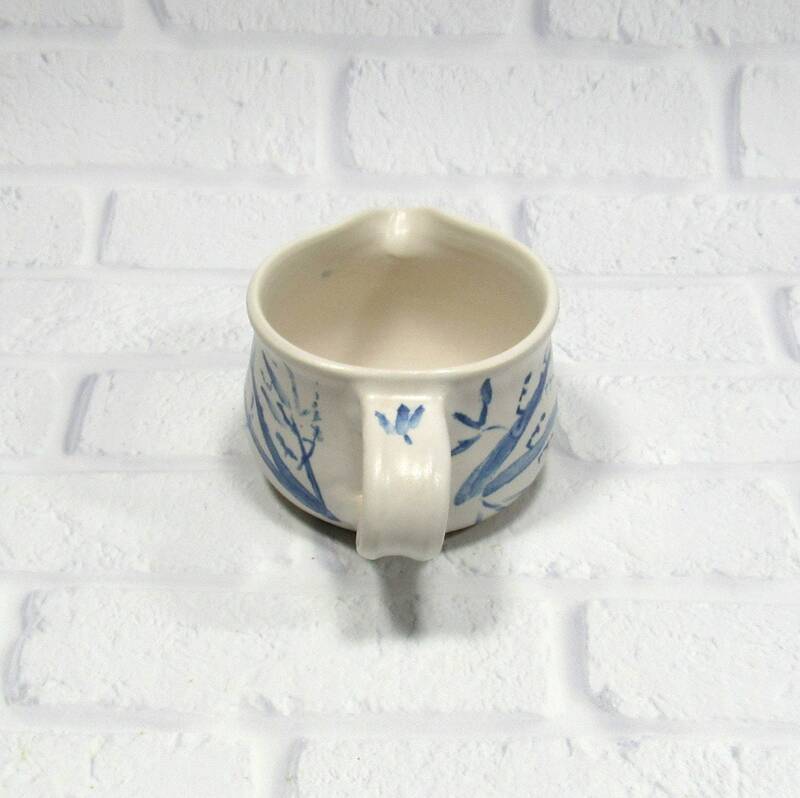 The ceramic creamer is 2.5 inches tall and holds 1 cup of cream. 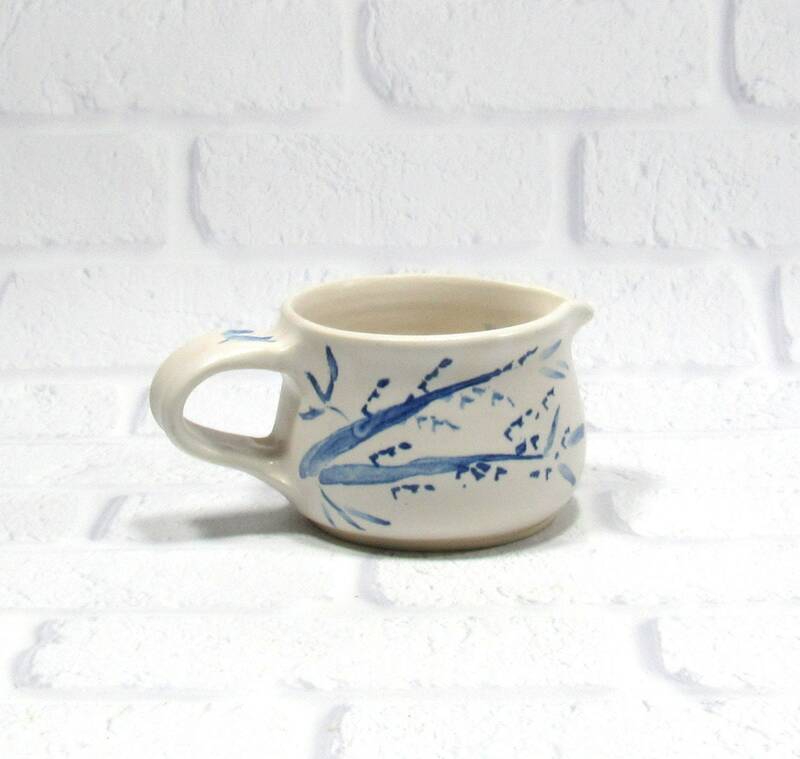 I made this piece on the potter's wheel. 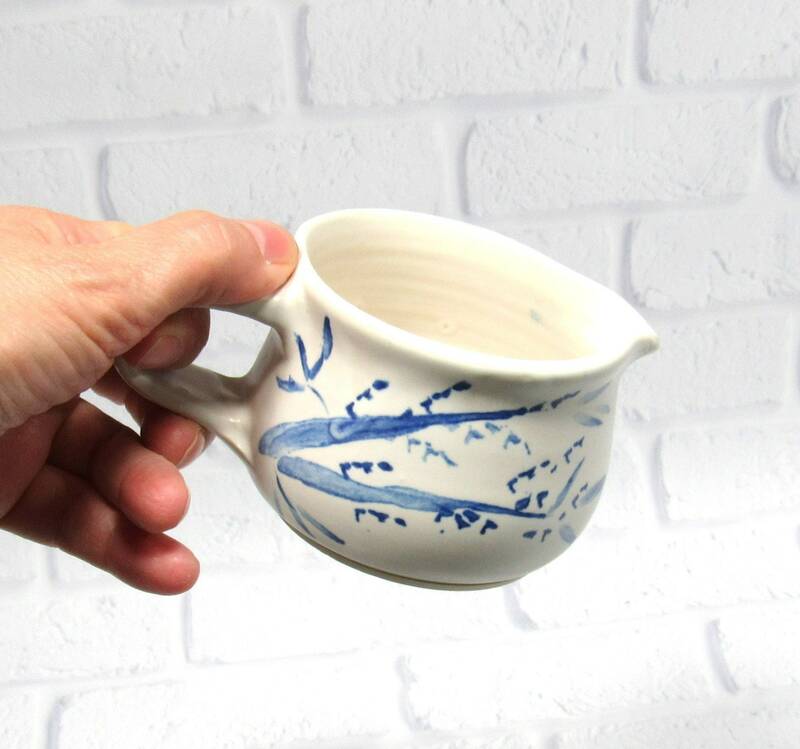 Once the clay was dry enough to handle I trimmed it to refine the form and added the handle. 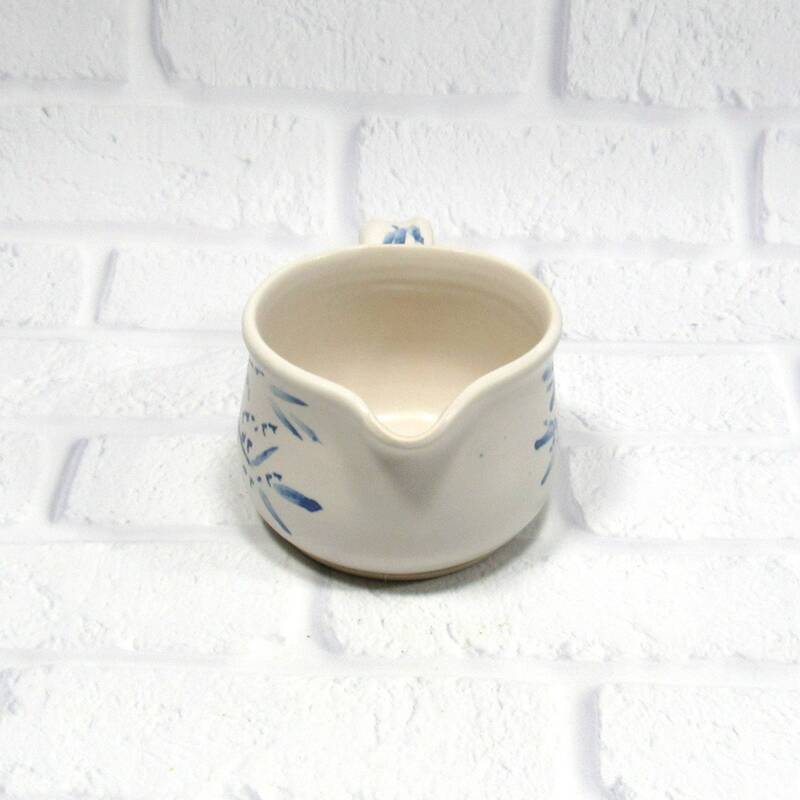 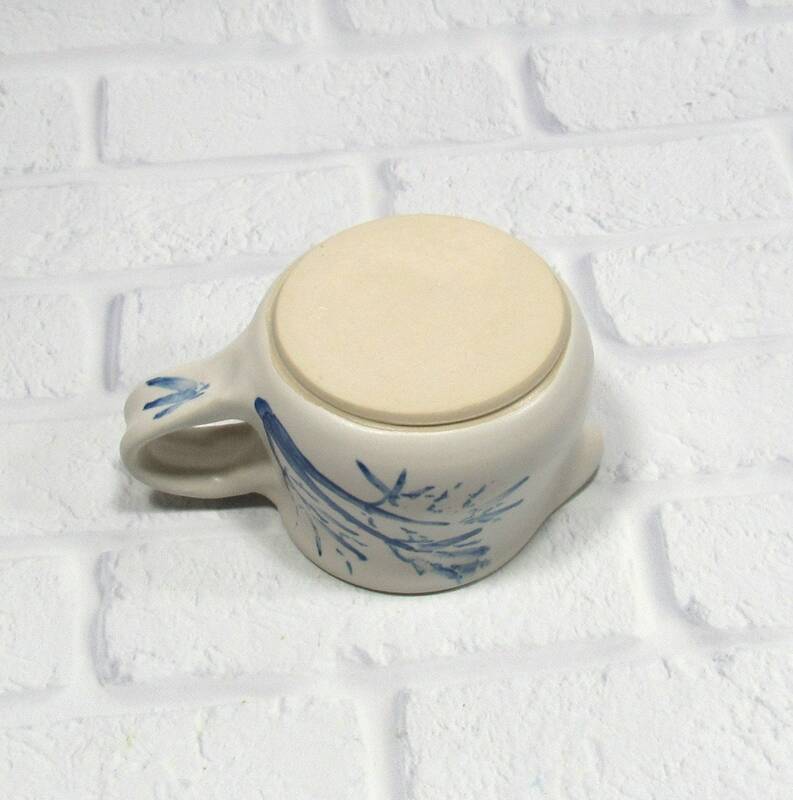 It is glazed in a satin white glaze with a cobalt blue floral design.